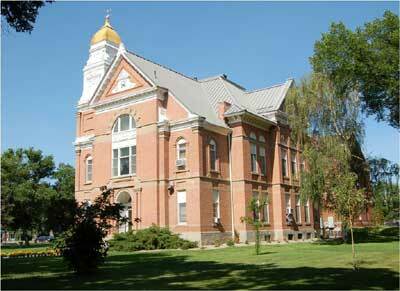 Chouteau County is located in North Central Montana, about 100 miles south of the Canadian border. Established in 1865, it is one of the original nine counties of the Montana Territory. It was named in 1882 for Augusta & Pierre Chouteau, fur traders and owners of the original trading post Historic Old Fort Benton, from which the community of Fort Benton, today's county seat, took its name. 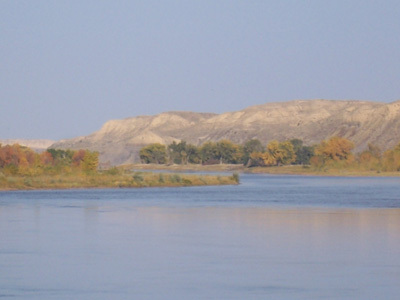 Fort Benton, named for Senator Thomas H. Benton of Missouri, was once an important port on the Missouri River. Fur traders, gold seekers, and settlers came via steamboats to Fort Benton, the "Head of Navigation" on the Missouri River. Today, Fort Benton still retains much of its "steamboat days" character. Fort Benton, Big Sandy & Geraldine are the population centers with smaller communities in Loma, Carter, Floweree, Highwood, Shonkin, and Square Butte. Chouteau County was once the largest county in the Montana Territory and the second largest in the United States. Chouteau County was subdivided repeatedly to form other counties until it reached its present size, an area of 3,936 square miles and a population of 5,738. It is home to the Chippewa-Cree tribe on the Rocky Boys Indian reservation in the Bear's Paw Mountains to the northeast, and contains part of the Lewis and Clark National Forest in the Highwood Mountains to the south. The terrain is primarily gently rolling plains that are dissected in the central portion by the eastward flowing Missouri River. The land is a complex of uplands, valleys, coulees, and broad plains. The primary surface water sources are the Missouri, Marias, and Teton Rivers. Streams of secondary importance are Highwood, Shonkin, Big Sandy and Arrow Creek. Phone numbers for the various departments can be found on the Departments Page.